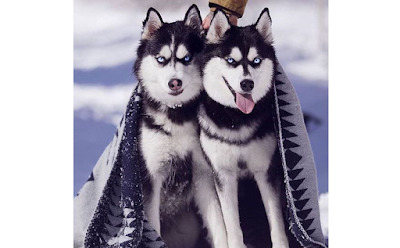 The Siberian Husky: How Suitable Are You For These Arctic Fun Dogs? The uniquely wolf-like features of a Siberian Husky leaves everyone in awe the second you walk by one— Wouldn't it be absolutely cool to welcome one into the home? 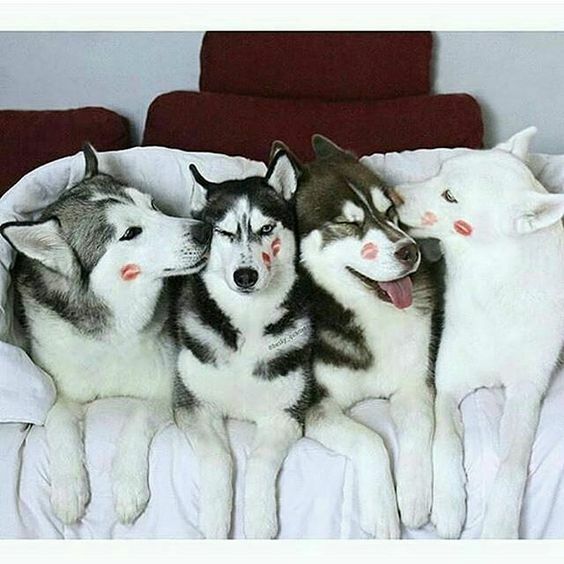 Their appearances aren't the only thing unique about them, Huskies have quite the personality one should really get to know before embarking on ownership. 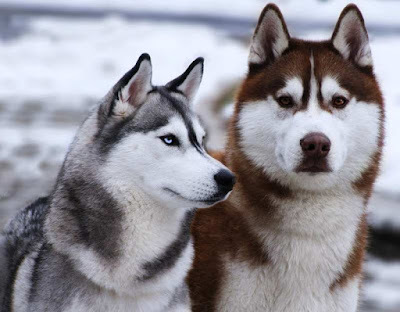 Let's get to know the Siberian Husky, and how they'd fair as a canine companion! A Dog breed originating from Siberia, Russia, Siberian Huskies are also fondly known as Husky for short. This breed was first bred by the Chukchi tribe in Siberia, where the Huskies were renowned for their speed and durability in cold living conditions. Siberian Huskies were a great contribution to the Chukchi tribe’s daily lives— by hauling heavy meat back home after male Chukchi hunters. Females of the tribe were given the task of watching over the Dogs. Huskies were said to be excellent around children too. During the early 90s, Siberian Huskies were introduced to the Alaskan race and were quickly recognized for their immense speed when they emerged victorious. 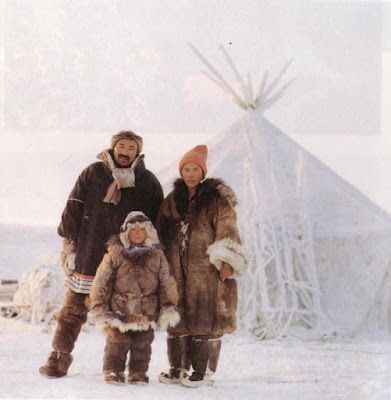 In 1925, an epidemic struck Nome, Russia and the lack of antitoxin was life threatening. Led by 20 Mushers, Siberian Huskies delivered the antitoxins across 1126 km from Anchorage to Nome— in a span of 6 days, under a freezing temp of negative 40 Degree Celsius. This was the historical feat of the Siberian Huskies whom quickly rose to fame. Siberian Huskies weren't just megastars during races and dire emergencies, they were also sought after during World War II— the United States Army had a special group of Siberian Huskies specially Airborne-trained for their Air Transport Command Arctic Search missions. With their intelligence and ability to thrive so well in the cold, Huskies were also a favourite choice on many arctic expeditions. Size — Huskies are a relatively good-sized breed. An adult male has a height ranging from 53 to 61 cm, weighing 20 to 27 kgs. An adult female is 51 to 56 cm, weighing 16 to 23 kgs. Features — A Husky’s tail is thick and heavily-furred. It can be seen curled over the nose and face during sleep, providing insulation during cold seasons— this is adorably referred to as The Husky Swirl. Beautiful almond shaped eyes can be of Blue, Brown, or Odd-eyed— Blue on one eye, and Brown on the other. Coat — First developed in a cold region, their lush coat of fur consists of a thick double coat with straight guard hairs, and a short but dense undercoat. Colour — Siberian Huskies can be found in various colours, most of them with the distinct Husky markings on their faces (a heart shape on their foreheads that gives the impression of thick eyebrows). Colours range from the common Black and White, less common Copper Red and White, even Grey and White or Pure White. Occasionally a rare Agouti (mixture of dark and light tones). Siberian Huskies shed roughly twice a year. This shedding process is commonly referred to as Blowing Coat— and boy, do they shed. Be sure to increase brushing and combing throughout these periods. This reduces the amount of excess fur around the house, and help rid loose hair. Siberian Huskies are not meant to give off any odour, keep their coats fresh and healthy by providing a bath, and follow through with slicker brush after. Using a Vet-approved cleanser and toothpaste, check their ears for build-up and swab them clean with the cleanser and cotton balls. Practice good oral and dental hygiene by brushing to maintain a healthy set of teeth. Nails should be trimmed when necessary and not clack on the ground. If you are unsure how to perform these tasks, approach a trusted Groomer or Veterinarian for professional help. Fun Fact In case you were wondering, the cold-bearing coat of the Siberian Husky acts as an excellent heat reflector during hot hot days. Now that's a multi-purpose coat! A Siberian Husky is fun, lovable, active and definitely entertaining. But this breed isn’t for everyone,— their personalities and behaviour should match someone of an active lifestyle. A lot of patience is required when dealing with a Husky, if you do not have a good tolerance for mess or mischievousness, then this might not be the best suited breed for you. Not A Guard Dog — With a Dog of this size, outward appearance, and intelligence, it's easy to assume that a Siberian Husky could possibly make a great guard dog. Truth is, they aren't meant to excel in guarding duties. Huskies are free-spirited and tend to have a mind of their own. A task such as alerting you if an intruder is present can be managed, but the chances of your Husky having the sense to protect you is not likely. 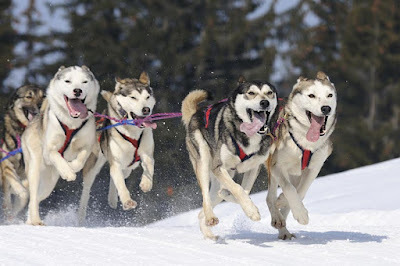 Working Dogs — Developed and brought up as sledding Doggos, Huskies love the great outdoors, nature and pulling sleds (if you have one). This is a high-energy breed that requires a ton of exercise and work (training tasks and activities) to make them feel useful. Daily and frequent walks, run, and play-time activities are a must. Being strong and firm with your commands go a long way in reflecting respect. Big Bad Wolf — When not properly entertained or satisfied, Huskies tend to display acts of destruction— Chewing, howling, whining and digging. As opposed to thinking that these are bad or ill behaviours, these are ways a Husky throws a tantrum when unhappy. An unhappy Husky might also cause your neighbours inconvenience with the noisy theatrics. Male VS Female — While there is a definite difference in terms or size between the two genders, experts claim that male Huskies could be harder to train, due to dominance issues. Their advice is to quickly establish the Alpha status between you and the male. Males are also known to be more playful, while females are more independent. Naturally, females are less likely to challenge your authority and can be more accustomed to following your lead. The Alpha — Siberian Huskies are instinctively predatory and dominant, and could very well injure something trying to flee or flying about. Although Huskies are known to be loyal and sociable with their human companions and a husky pack, they are not exactly suitable as companions to other house pets. This of course can be improved by positive training and socializing, as they are also known to be quick to adapt. 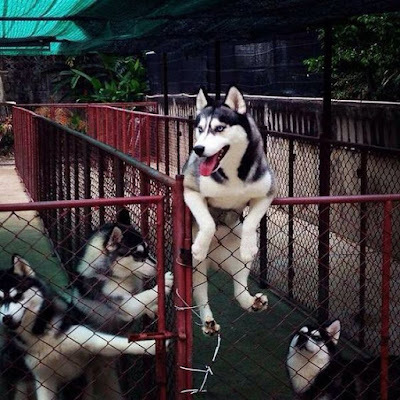 Escape Artists — Unfortunately for HDB dwellers in Singapore, the Siberian Husky is not HDB-approved. A Husky would also not be satisfied being cooped up in a flat, especially if there isn’t anyone home for most of the time. Watch out for fences in the lawn or garden during play-time, Huskies are remarkable escape artists with the habit of digging, and jumping at great heights over fences. If you are planning to keep him in your private yard or lawn, always check for potential escape points, and have tall fences and gates installed. Also don’t be surprised to find upturned soil or holes in the yard, remember they are a breed made for survival in the harsh times. Siberian Huskies are a hardy breed with minimal health problems— the average lifespan of a Husky is 12 years or more if properly taken care of. Got a Corgi of your own? Your voices are important to us and the Pets community! Our readers are encouraged to share their Pet-related reviews of a place and its services, experiences, even lifestyle tips and tricks to better our Pets lives, on our platform, one paw at a time. Be a part of an educational and informative Pets community because at ThePetsDialogue, your voices could make a huge difference on a global scale.